2015 Pickleball Fever in the Zoo – Bob Northrop Memorial Tournament Recap – Pickleball is Thriving in Northwest Ohio! 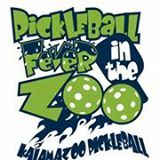 The second annual Pickleball Fever in the Zoo – Bob Northrop Memorial Tournament took place this past weekend at Wings Stadium in Kalamazoo, MI. More than 240 players from across the country competed at the tournament run by Jim Hackenberg and his rock-star crew of volunteers. States represented included Arizona, California, Illinois, Indiana, Michigan, Ohio, Pennsylvania, Tennessee, Texas, South Dakota, and Wisconsin. This year, nationally ranked players, Dave Weinbach and Steve Wong, attended the event. Several members of the Toledo Pickleball Club also contended. The competition was housed inside an ice arena, lined with eight courts. Two additional courts were set-up in ‘The Cube,’ an auxiliary rink in the building. There was also a practice net available for players to warm-up on. The venue provided excellent accommodations for spectators. Stadium seating gave fans the opportunity to keep tabs on all eight courts, watching their favorite players and multiple matches at once. 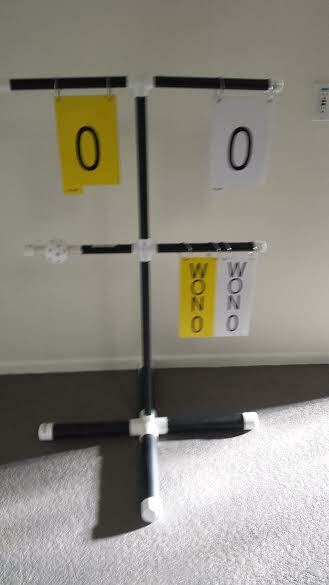 Furthermore, refs utilized a fan-friendly scoring device called the RefereeZe Scoring Stand. During the matches, the refs manually flipped score cards for the teams when they scored points. As a result, spectators could look across the arena and follow the scores of the matches being played. This tournament was the first one to use the scoring stand on every court. This entry was posted in Tournament Results and tagged Dave Weinbach, Fever in the Zoo, jessica lemire, Jim Hackenberg, marsha koch, Pickleball Fever, RefereeZe, steve wong, toledo pickleball club, Tom Wells. Bookmark the permalink. Congratulations to our Toledo players! !